The Bibles for Missions Thrift Store in Crystal, MN, is part of the cooperative effort of Bible League International, the Minnesota Coalition for Eastern Europe, and Bibles For Missions Thrift Centers . We have numerous volunteers from many Twin Cities area churches. 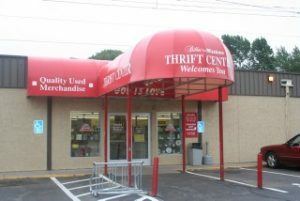 All proceeds from the sales of goods donated to our thrift store are used for Scripture placement and other ministries in the nation of Bulgaria. In addition, extra clothing not sold in our store is sorted and shipped as humanitarian aid to Eastern Europe.